I’ve been hooked on Pilates for over 13 years. I was introduced to this form of exercise as a therapy to strengthen my core when I developed back problems following the birth of my first child. While I love to attend Pilates classes, they can be very expensive and sometimes I just don’t have time to make it to a studio. Thanks to the MOTR complete home gym by Balanced Body, though, I can now stay fit by doing Pilates at home. And so can you! This review is brought to you in partnership with Balanced Body and Mom It Forward. Pilates is a system of exercises, often using special equipment, designed to improve physical strength, flexibility, posture, and mental awareness. Many physical therapists use Pilates to help rehabilitate injured athletes, dancers, and regular folk like me. Balanced Body believes that movement changes people’s lives. Founded in 1976, the company is the leading resource for Pilates and mindful movement equipment. I know what you’re thinking. Home gyms are big, bulky and ain’t nobody got room for that! 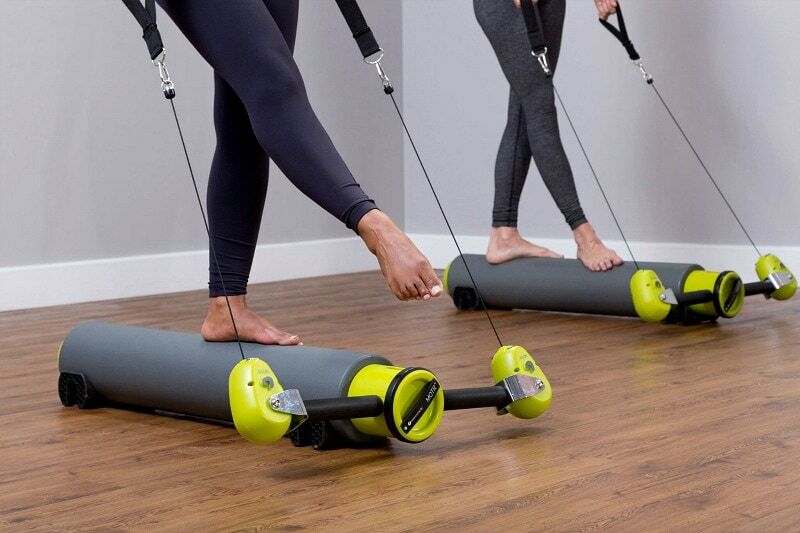 But Balanced Body’s MOTR (MOre Than a Roller), is a complete home gym in a manageable 43-inch cylinder. It combines a foam roller with the challenge of three levels of resistance, easily adjusted with the click of a button. I store my MOTR underneath my bed, and use a little path of carpeting in my bedroom on which to do my workouts. Group Pilates classes can cost $30+ per session. Meanwhile, private lessons are even more expensive at $50 – $100+ per hour. And, traditional Pilates equipment, like a reformer, can cost thousands of dollars. 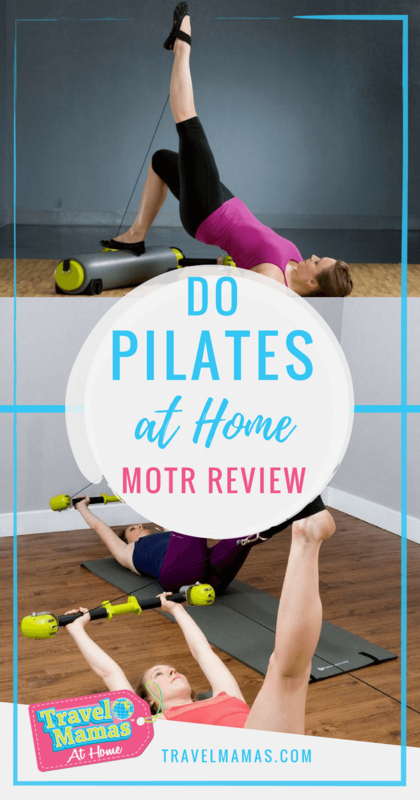 Balanced Body’s MOTR, on the other hand, makes an affordable Pilates at home option. Not sure how to begin doing Pilates at home? No worries! Balanced Body’s MOTR comes with a DVD featuring two workouts plus an easy-to-follow deck of flashcards that demonstrates an array of exercises with photos, instructions, and explanation of muscle groups targeted. I am intimidated by the overwhelming selection of machines at the gym, so I often stick to free weights and cardio machines. Believe me, if I can figure out how to use MOTR, so can you! And you can do so in the privacy of your own home. Easy peasy. After dropping the kids at school, I love going for a morning run and then pulling out the MOTR for some strength and balance training before starting my work day. It’s so much more convenient than driving to a gym, parking, and doling out big bucks every single month to stay in shape. Depending on the exercises you choose, you can focus on balance, agility training, and upper body and lower body strength. Almost all of the exercises work your core at the same time as you build and tone muscle. You can even get your heart rate up with a cardio workout via the MOTR. If you love Pilates like I do, you’ll love slipping into the foot straps to do leg lifts, steps and circles to tone leg muscle groups. Forget having to store and pull out all sorts of different free weights. Tone your arms using the same MOTR straps, adjusting resistance as needed. This challenging and diverse workout tool makes at-home fitness a no excuses option for busy parents. Are you ready to get in shape with Pilates at home? Get your MOTR now! A Note from The Travel Mama: This blog post is sponsored by Balanced Body and the Mom it Forward Network. I will receive compensation related to this story. All opinions are mine, as always. This story includes affiliate links. Your purchases help to keep TravelMamas.com a free resource for readers like you. i live SO far away from any gyms, I would love to have more ways to exercise at my house! I would like to win this so I can lose some weight. 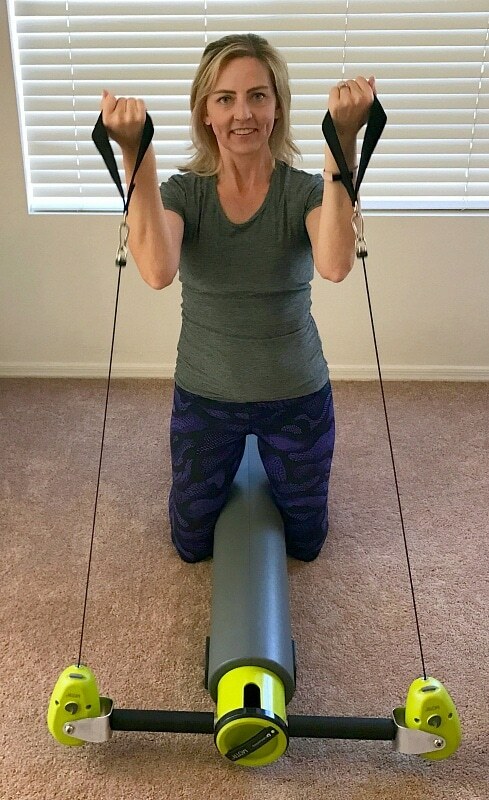 I have never tried Pilates but it looks like something I could like doing so I would love to try it and this home gym would be perfect to help me get started! Thanks for the chance to win! I’ve never tried something this but I’d love to! I have a stationary bike and this would be a great addition to my gym space! I would love to win this for my wife. She loves to do simple easy exercises while we sit and watch tv. I am in desperate need of getting in shape again and not able to get to a gym. this would be perfect for me. I do all my working out at home bc it’s the only way I could ever get it done with all 5 of my kids and their crazy schedules. I have been missing my pilates class so this would be awesome!! I live in the woods and the gyms are not close. I would use this everyday. I am really into getting fit. i do fitness dvds at home and this would give me a new thing to do. I would love to incorporate this into my home workout routine. I really need to get it together and start losing weight – this would be perfect. I work from home, so I could do this on my lunch. I just don’t have the time or the money for a gym membership. This would be perfect to get a good workout at home. I would love to win this to have at home for the winter. I rarely go out in the colder months so don’t get near as much exercise as I do in the spring and summer and for me this would be the perfect solution because I could still keep in shape while staying home and staying warm. This would be great to have at home to workout with. I like that it isn’t too big and can be put away and not be in the way all the time. Thanks!! This looks so awesome!! I would love to add this to my daily workout. I would love to win this as I like to workout but can only do it from home so I am limited. I would love to win cause I recently started a weigh loss program with my dr. Running is out of the question since I have had 6 knee surgeries and cant run! This looks very low impact which is exactly what I need! I’ve always wanted to try Pilates and this looks like a convenient way to do it. I would like to add this to my daily workout. I got a new dream job, and it is time to clean up the rest of my life as well. I want to be healthier and this is an awesome way to enjoy working out. I’ve gained quite a bit of weight and really need a good exercise program I can do at home as I just can’t bring myself to go to the gym at my size. I would love to win this so I could exercise when I get home from work which is late at night. I would like to win because it sounds like a great system to incorporate into my workout routine. It looks like a great system. With winter coming up I won’t be able to get to the gym as much. This would be great to have at my house! Since I don’t have much time to go to any gym class, this equipment would help me a lot. I bet all my family members would love this when the cold weather is coming, we don’t need to go out but stay indoor to practice. Nice post. Is this ok for men? My husband and I both are busy parents with an extremely tight schedule. This exercise is the best solution for time saving. Thanks for your recommendation. Rosie – Yes! The MOTR is a great option for women and men alike!